Our signature scent: Kitten, with visions of dusty records, lipstick, and feather pillows and notes of musk, amber & hand-picked violets. 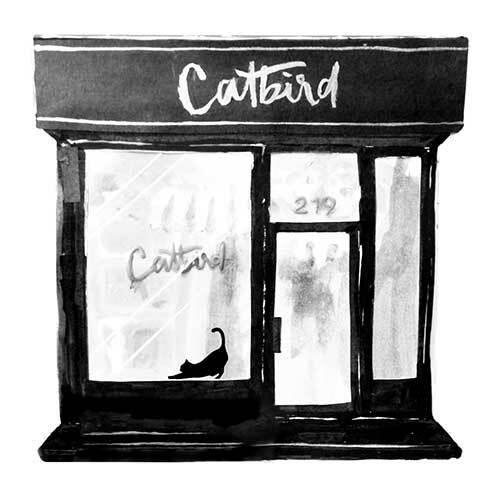 A love letter to the early girls of Catbird, the Williamsburg kitten with her affinity for busted tees, ballet flats and jewels, sneaking a cigarette out of her apartment window (she's since quit). Tucked inside the lid of each box, a suggested reading list, a small offering from the canon of classic New York stories. Painters and punks, crocodiles and kittens: this is our New York. https://www.catbirdnyc.com/kitten-candle.html 2512 Kitten Candle https://www.catbirdnyc.com/media/catalog/product/k/i/kitten-p.jpg 38 38.0000 USD InStock /Collections/What We Love/Cat Pack /Collections/Top Ten!/Top Ten Home & Candles /Collections/Ready to Ship!/Home, Gifts and Beauty /Beauty, Home & Gifts/Home & Gifts/Candles & Home Fragrance /Designers/Catbird Home & Lounge /Beauty, Home & Gifts /Beauty, Home & Gifts/Home & Gifts /Beauty, Home & Gifts/Catbird Beauty, Home & Gifts /Gift Guides/For Your Friends & Sisters /Valentine's Day!/You Light Up My Life /Valentine's Day!/Classic Valentines /Mother's Day/$100 and under!